Sofia Coppola’s output is frustrating not because of its decline in quality since her first two films but because there are routinely glimmers of that greatness in her later work. 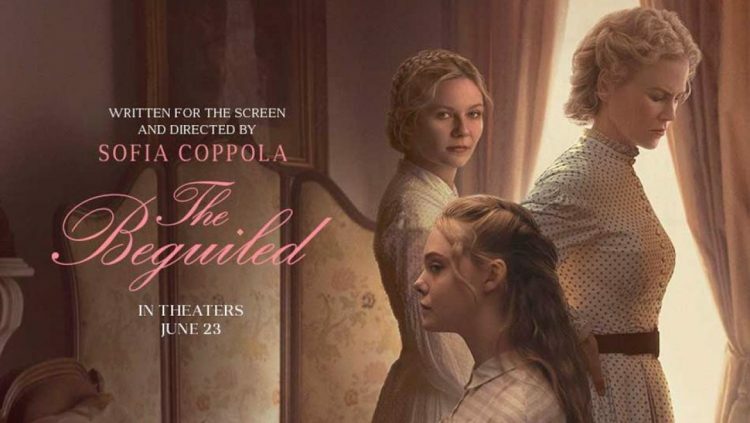 With the arrival of a wounded soldier bringing disruption and jealousy to an isolated girls’ school during the American Civil War, The Beguiled crafts some captivating character moments in its first hour, through a heavily vignetted haze of desaturated colour that often approaches sepia. Oona Laurence stands out as the young girl who initiates the story. I haven’t seen the Clint Eastwood original, but Coppola’s take on the material is ponderous and predictable. The serene pacing works well initially but, once the dominoes topple into pure Southern Gothic, Coppola is evidently out of her depth as I don’t think titter-inducing ridiculous was the intention.